I love small organic and natural product companies because I trust that they made each bottle, solution, and product from hand and with the utmost care and concern! I trust them and try to support them whenever I can. 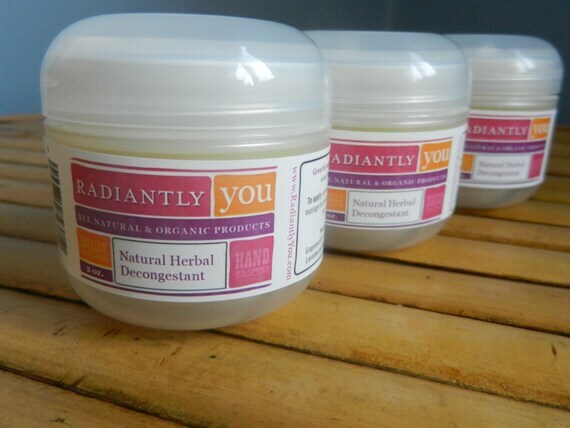 With that said, let me introduce you to the latest and greatest brand in my house and cupboards: Radiantly You! I am LOVING every single product I received for review from them and also that I am supporting work-at-home-momma's (like ME!)! 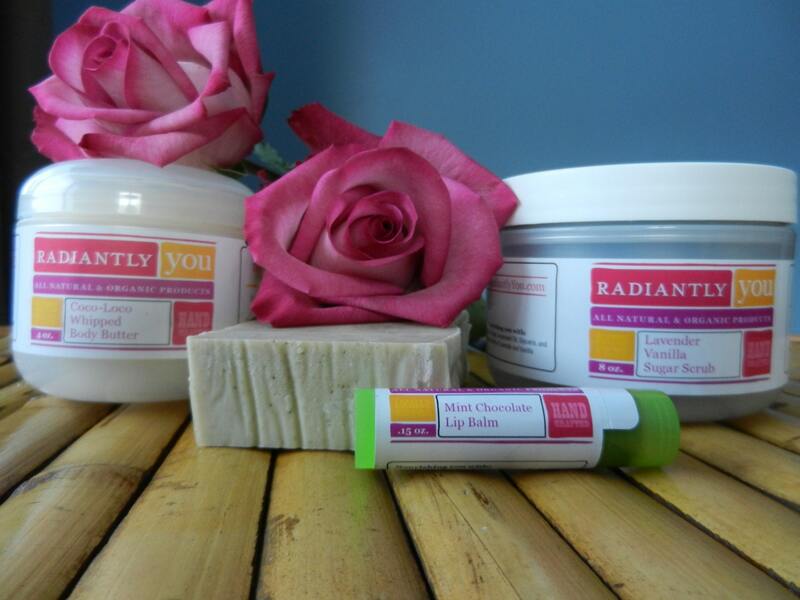 Radiantly You carries a variety of items, each hand-crafted by wonderful work-at-home-momma's using only the finest organic and natural ingredients out there. Their products truly are superior and they have something for everyone! Whether you are looking for natural cleaning products, beauty/skincare or baby items that you can feel good about, they've got you covered. Some of their top-sellers include: Dead Sea Mud Whipped Face Wash (amazing for EVERY skin issue under the sun, including eczema and acne), Calendula Booty Balm (cloth diaper safe rash cream), and their amazing Tea Tree Conditioning Shampoo Bar. The best part is their products are affordable too because part of Radiantly You's mission is to make organic products available to EVERYONE, so they keep our prices as cost-achievable as possible, removing the excuse that people "want to go organic but can't afford it." I LOVE THAT! Each item is created by a Certified Holistic Health Professional with healing and nurturing properties highlighted, this is not just your typical Body Butters! I received four AWESOME products that I use almost everyday: All Natural Laundry Soap, Natural Herb Decongestant, Calendula Booty Balm, and Vanilla Mint Lip Balm. Custom choose your Laundry Detergent scent (Lavender, Citrus, Sweet Orange, and Unscented) and enjoy peace of mind knowing it’s chemical free. This laundry detergent is made with all natural, organic ingredients. Great for skin sensitivities and works in HE washers! I must admit I was a little nervous using a laundry detergent that only had a couple ingredients (and I actually could read, pronounce and knew what each ingredient was...AMAZING!) because we get so used to using such chemical-full products in our world today! But this detergent worked just as well as any other laundry detergents I have used before. It was definitely a different consistency and look, but still same results: clean, fresh clothes...and for a great, affordable price! The bottle is 64 oz. of handmade liquid laundry soap. Bottle washes over 32 loads of laundry! Perfect for year round, this petroleum free, 100% natural vapor salve is safe for the entire family. Great for easing cold/flu symptoms and sinus/respiratory congestion. I am a huge fan of vapor salves when my children are sick. I love applying them to their feet and chest to help them breathe and sleep easier! It has always worked wonders! Organic Apricot Oil - Extremely beneficial and highly moisturizing. Organic Eucalyptus Essential Oil - Antibacterial, antispasmodic (stops spasms), antiviral, decongestant, expectorant (promotes the expulsion of mucous from the lungs), this oil is widely known for its ability to help clear the lungs of excess mucous and ease coughing. Organic Lavender Essential Oil - Calming, relaxing, and peaceful on the mind, especially during times of rest. Organic Peppermint Essential Oil - Peppermint oil benefits the respiratory system. The menthol in peppermint oil helps to clear the respiratory tract. The oil of peppermint acts as an expectorant and provides relief during a regular bout of cold and cough, and the more serious sinusitis, asthma, and bronchitis. Vitamin E - Antioxidant and natural preservative. Protect your favorite little tush with this nourishing diaper cream. With the healing properties of Grapeseed Oil and Calendula, this cream has many uses – so don’t just use it for diaper rash prevention! Bonus: It’s cloth diaper safe. I have been searching for a cloth diaper safe diaper cream and I have finally found the gold mine in this Calendula Booty Balm because it has more uses that just diaper cream! It is great for my children's dry skin no matter where it is on their body! You deserve the best — which is why they came up with this wonderful organic lip balm! Vanilla Mint Lip Balm heals and moisturizes without leaving you feely “goopy” or sticky. This lip balm is a great option for everyday use — protection from sun, wind and those cold winter cracks! Use it in conjunction with our wonderful Vanilla Coconut Lip Balm and you’ll have a special minty treat every now and then! It’s important what goes in AND on your body — so only use the best! This lip balm felt smooth and great going on and made my lips silky soft! LOVE IT! So as you can see, Radiantly You has an awesome array of beauty, cleaning, and baby products and they are all natural, organic, safe, and AFFORDABLE! Never use the excuse that you can't afford natural, organic and safe products for your family again when you shop at Radiantly You! Buy It: You can purchase all the products mentioned above (and so much more!) from the Radiantly You website. Win It: Radiantly You is generously offering (1) Dead Sea Whipped Face Wash to a lucky winner!